Notes on an essential sacrament, without which the church cannot fully be embodied in digital space. Please forgive incompleteness of this text and the lack of references but I am recording this here as a note for ruther study and reflection, as a result of attending a symposium on Sacraments in a Virtual World at S. John’s College in Durham. Baptism is where the sacraments truly hit the road. The two primordial sacraments are already fully established in digispace: Jesus Christ – the Word embedded across all creation is in both sacred and profane space. The church, the ekklesia exists wherever Christian community is to be found, but from these two spring the dominical sacraments and the sacraments of grace. So, until we figure out how baptism works then we cannot envisage any of the sacraments in a digital culture. Unfortunately, all sacraments are mysteries of God, and the limitation of their grace, efficacy and means of work are limited by our imagination, language and technology rather than a limitation of the agency of God. Some theologians (Paul Fiddes for example) argues that baptism is impossible because it is an instrument of the located church, is a once and once only sacrament although he accepts the possibility of renewal of baptismal vows online. His argument accepting a new economy of sacramental for digital Eucharist has, I believe similar currency in the new economy of baptism but as Eucharist is predicated on baptism his rejection of digital baptism kills digital Eucharist at the outset. We therefore need to carefully consider the nature of baptism and its action to see how it might find true representation in digital space. The key problem with most of the seven-sacramental perspective is that it is rooted in the Incarnational reality: we have always concentrated upon a visceral and corporeal faith which spoke primarily of oil and water, bread and wine, body and blood. When we move into the less concrete, everything that we once held onto becomes shaky and it is this lack of physicality that Fiddes finds problematic despite the fact that he was quite willing to forego them in the case of Eucharist. 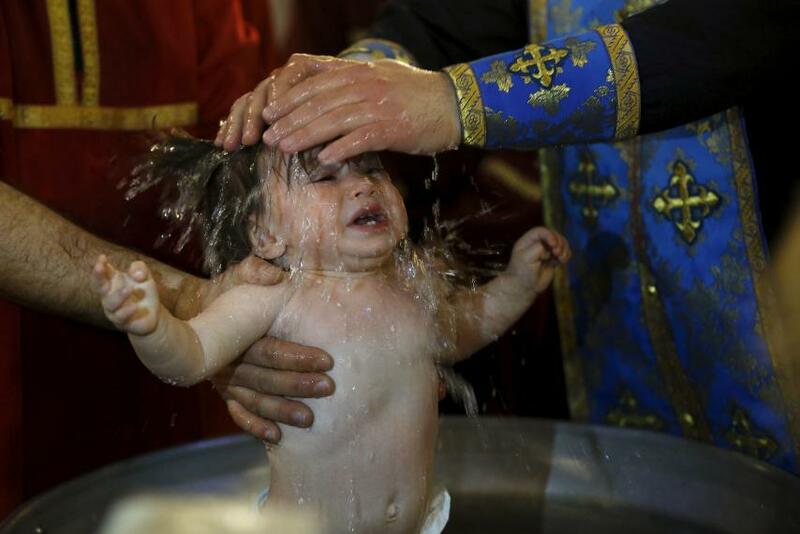 But what is baptism? Is it a series of physical acts or an initiation which happens most commonly to use physical acts to symbolise the work of the Spirit upon an individual, regardless of whether they actively participate in it (adult, believer’s baptism) or whether they are a (largely) passive participant as an infant. Are the physical acts the most important element here or are they a mere reflection in a concrete world of a more virtual action by God? Indeed, are all the works of grace evidenced in the sacraments of the Church ‘virtual’ in the sense that they have no concrete form, and rely upon what Aquinas called the accidentals of physicality to embody them? In doing this, have I argued that oil and water, white robes and candles are merely external and therefore dispensable signs of a deeper function of baptism which is the working of the Holy Spirit and the welcome of a supportive Christian Community. That both of these things can be successfully represented digitally, my tentative conclusion is, at present, that baptism is indeed a sacrament that can be mediated digitally, in a digital setting for a digital community for the essential hallmarks of baptism are present and the externalised accidentals can be enacted (the liturgy of drama) within a purely (and not synthesised) digital form. Never really thought about digital baptisms until reading this. My wife and me have recently moved into a Christian community house with a massive bath and are pondering on whether we could do baptisms in that and havent extended our thinking any further.